Photo ofCorpinnat promoters from the archive C.M. 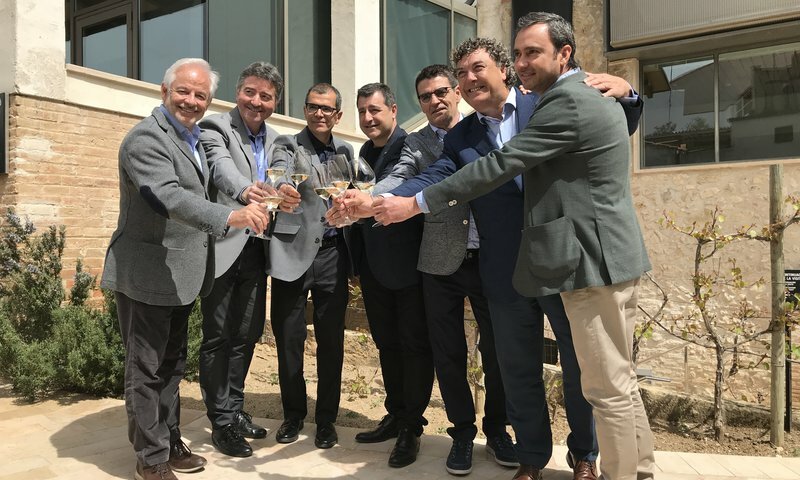 Yesterday the nine wineries that make up the collective European brand Corpinnat - Gramona, Recaredo, Llopart, Torelló, Sabaté Coca, Nadal, Mas Candí, Huguet-Can Feixes and Júlia Bernet- announced their decision to leave the Cava Denomination of Origen to the Regulatory Council. The wineries made this decision after months of negotiation in which they were asking permission to put the Corpinnat logo on the labels of their Cavas. According to the co-presidents of the Corpinnat wine producers association they still want to keep working for the benefit of the sector. Corpinnat wineries publicly announced that the first bottles bearing the collective brand will be released this spring. These wineries joined the brand because they wanted to boost the prestige of sparkling wine made in the area with the longest wine-producing tradition in the Penedès region.